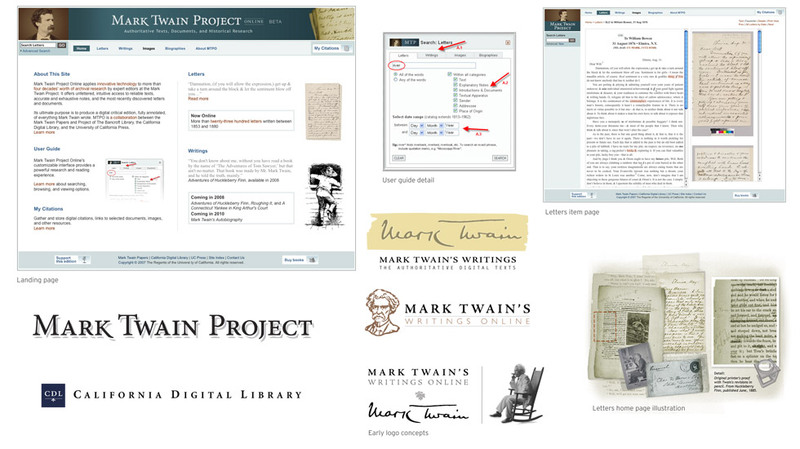 California Digital Library’s Mark Twain Project Web site was developed to provide online access to The University of California’s extensive collection of critical editions, manuscripts, and photographs of Mark Twain. As lead visual designer for this complex, data-driven site, I provided ground-up creative including identity design, UI design and original illustrations. Art direction and visual design, identity design and digital illustration.